Team Leader for preparation of feasibility studies followed by implementation of urban infrastructure improvements in poor communities in two cities, Yangon and Mandalay. Team Leader for Implementation of urban improvements in three corridor towns in Savannakhet Province including the provincial capital Kaysone Phomvihane. Team Leader on pre-feasibility for urban improvements in Palu City, Sulawesi. Included identification of needs and potential components for urban improvements, feasibility assessments and potential funding options. Team leader for integrated urban infrastructure in towns around the Tonle Sap. The project was designed to encourage sustainable urban development in the vicinity of the Tonle Sap international biosphere. Team leader and urban planner for feasibility studies and preliminary project designs. Preparation of city development strategy and identification of project components for environmental infrastructure including roads, drainage, riverbank protection, solid waste management, and green infrastructure. Team Leader for technical assistance to Ho Chi Minh City (HCMC) People’s Committee on the integrated development of the mass rapid transit (MRT) lines in HCMC. Feasibility study for Line 2, liaison with local and national government on master plan and other strategic planning and environmental issues. Advisor to Government of Tonga for re-planning and rebuilding of central business district in Nuku’alofa. Fast-tracking proposed planning system. 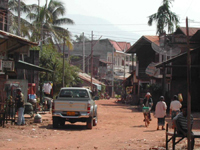 Preparation of plans and infrastructure investment programmes for a number of small towns in the north of Lao PDR. 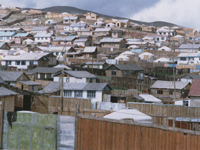 Analysis of the towns’ potential in the sub-region and in their respective rural hinterlands, with an emphasis on poverty reduction and environmentally sustainable development. Strategic guidance on environment and planning issues. Review of existing plans and procedures for city management. Preparation of development frameworks for informal ‘ger’ housing areas. Co- ordination of community consultations and development of community-led infrastructure process. Pre-feasibility study for urban transport solutions in central area of Vientiane. Urban planning and traffic management inputs to pre-feasibility and pilot transport projects. Team Leader on Pre-feasibility study in secondary city in southern Laos. Studies to identify issues and potential projects for drainage and flood protection, solid waste management, green infrastructure and other urban environmental improvements. 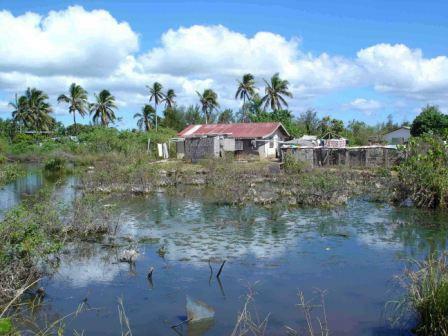 Team Leader on Project to develop an Urban Planning and Management Strategy for the Kingdom of Tonga. Also project design and feasibility studies for infrastructure and other components in main urban areas. Preparation of sub-regional planning framework for study area including ten municipalities adjacent to Clark Special Economic Zone in Central Luzon. Urban area framework plans for each municipality. Preparation of planning framework to guide provision of secondary and tertiary infrastructure. City-wide strategy and local area plans to guide development. Participatory village area improvement schemes. Analysis of environmentally sensitive areas and policies for retention of wetlands. Planning and infrastructure studies, with Townland Consultants Ltd., for the Hong Kong Government. Projects included alternative site identification for a waste to energy facility, planning design for a new cargo working area, and land resumption and re-provisioning for a major new road tunnel and approach roads. Preparation of outline development plans for three regional urban centres. Formulation of alternative development scenarios, recommendations for revisions to planning procedures and legislation, and formulation of five year development programme for the three project towns. Preparation of development plans and programmes for six secondary cities in the region. Review of urban sector development trends, policies and plans within the region. Project preparation and detailed design for urban upgrading and sites and services projects for low- income housing. Advice to the London Docklands Development Corporation on urban design and conservation implications of development proposals on important riverside sites. Preparation of a range of shelter and infrastructure projects for appraisal by international funding agencies. Master Plan and Local Plans for Tuen Mun New town with a projected population of 550,000. Responsible for all planning matters in two key areas of the town – the centre and the waterfront.